The 'Stena Precision' in Belfast Lough during Operation Diamond. The 'Stena Precision' Link has recently been chartered by Stena Line to work the Heysham-Belfast route. 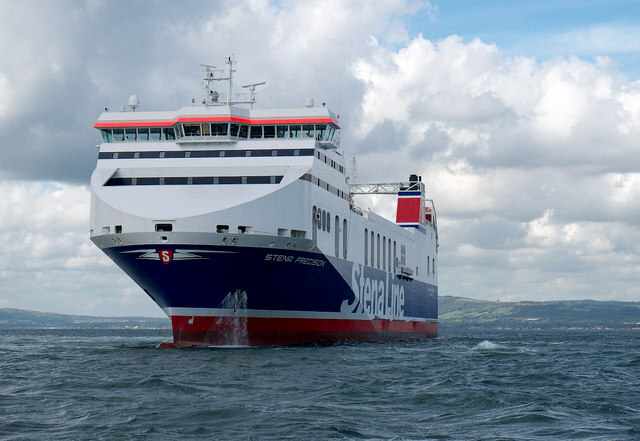 See J4081 : The "Stena Performer", Belfast Lough for an image of her sister vessel working the route. This page has been viewed about 114 times.